Dr. Tirell is the Provost and the Ross McCollum-William H. Corcoran Professor of Chemistry and Chemical Engineering at the California Institute of Technology. Dr. Simon is the Deputy Director of Lawrence Berkeley National Laboratory. 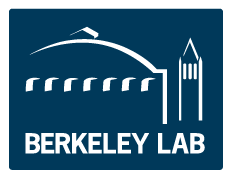 Dr. Witherell is the Director of the Lawrence Berkeley National Laboratory. Dr. Witherell is a leading physicist with a highly distinguished career in teaching, research and managing complex organizations. He has received numerous honors and recognitions for his scientific contributions and achievements. Dr. Anson is the Elizabeth W. Gilloon Professor of Chemistry, Emeritus, at the California Institute of Technology. Dr. Barton is the Chair of the Division of Chemistry and Chemical Engineering and the Arthur and Marian Hanisch Memorial Professor of Chemistry at the California Institute of Technology. Dr. Neaton is the Energy Sciences Associate Laboratory Director at the Lawrence Berkeley National Laboratory and Professor of Physics at the University of California, Berkeley. Dr. Holtkamp is the Deputy Director of the SLAC National Accelerator Laboratory. Dr. Khargonekar is the Vice Chancellor for Research at the University of California, Irvine. Dr. Mallouk is the Director of the Center for Solar Nanomaterials, the Evan Pugh Professor, and the DuPont Professor of Materials Chemistry and Physics and Professor of Biochemistry and Molecular Biology at Penn State University. Dr. Abruña is the Emile Chamot Professor of Chemistry and Director of the Energy Materials Center at Cornell University. Dr. Ayers is the Vice President of Research and Development at Proton OnSite. Dr. Galli is the Liew Family Professor of Electronic Structure and Simulations in the Institute for Molecular Engineering at the University of Chicago. She also holds a Senior Scientist position at Argonne National Laboratory (ANL) and is a Senior Fellow of the UChicago/ANL Computational Institute. Dr. Hammes-Schiffer is the Swanlund Professor of Chemistry at the University of Illinois at Urbana-Champaign. Dr. Hupp is a Professor of Chemistry at Northwestern University. Dr. Koper is a Professor of Fundamental Surface Science at Lieden University. Dr. Stucky is the E. Khashoggi Industries, LLC Professor of Chemistry at the University of California, Santa Barbara. Dr. Argenton is Global R&D Director for Dow Performance Materials. Dr. Cardillo is Executive Director of the Camille and Henry Dreyfus Foundation. Dr. David is Chairman of CO2 Sciences, Inc..
Dr. Eaglesham is a CEO of Pellion Technologies. Dr. Savitz is a Member of the President’s Council of Advisors on Science and Technology. Dr. Socolow is a Professor of Mechanical and Aerospace Engineering and Co-Director of the Carbon Mitigation Initiative at Princeton University. Dr. Whelan is Chief Scientist of Boeing Integrated Defense Systems and Vice President / Deputy General Manager for Boeing Phantom Works.